The latest iteration of the Honda Civic Si has underwhelmed critics, including our own reviewers at TheCarConnection, but Honda isn't letting the lukewarm reception get in the way of heating things up a bit. 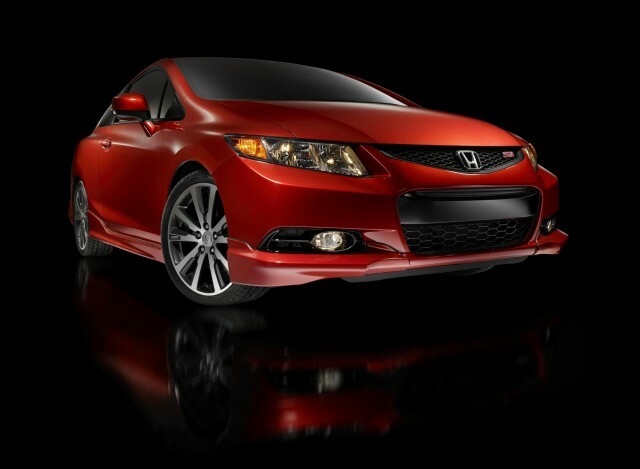 Today(11/1/2011) at the 2011 SEMA show, the company unveiled the Honda Factory Peformance (HFP) package. The HFP package includes stiffer lowering springs, higher-performance dampers, 18x7-inch wheels, a full body kit, HFP floor mats, red ambient lighting, and HFP badges. The package will be available through dealers in all seven standard Civic Si colors.